Often hear the word JailBreak?What does it actually mean? iOS is Linux based. Which means that it has to be open-source. But to protect the amature users, it comes with different security levels. Also this prevents the hackers from intruding into the devices. Now how does Apple do that? Whenever any developer sends an app to Apple to be published on the App store, Apple checks it for compliance with its iOS Developer Program License Agreement before accepting them for distribution in the App Store. So this means that the user can use only those apps that have been 'Licensed' by Apple, which also means that you'll end up paying the cost of the app and then realizing that you have wasted money on that.What about getting the same app for free from any other source but risking your security. Atleast you'll save some bucks! For that there is JailBreaking. Jailbreaking permits root access to the iOS operating system, allowing the download of additional applications, extensions, and themes that are unavailable through the official Apple App Store. 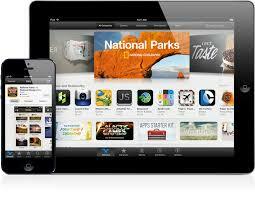 A jailbroken iPhone, iPod touch, or iPad running iOS can still use the App Store, iTunes, and other normal functions, such as making telephone calls. 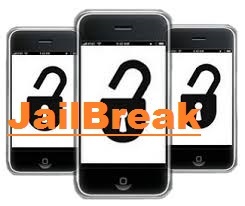 With a jailbreak a user can use and download apps and iTunes that may not be available on Apple stores or may be available after one pays a price for the download. After "jailbreaking" their iphone, owners can access almost unlimited customization, allowing for better "control" of the phone's settings, like the user interface, and color scheme. iPhones after jailbreaking can be customized to extends as Google OS, Android. Generally, in countries like the US, iPhones come with AT&T or T-Mobile connection and so services of other carriers cannot be used. In short the phone will not accept the SIM of other carriers. But Jailbreaking opens the possibility for using software to unofficially unlock carrier-locked iPhones so they can be used with other carriers.